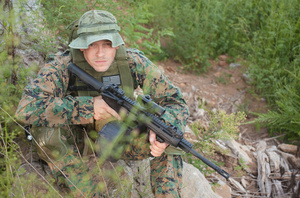 JP LRP-07 .308 with 3.5x ACOG and backup JPoint red dot. 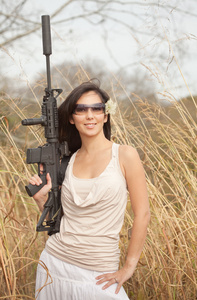 Shooter: Erika Hana. 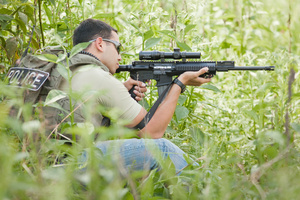 Co-witnessed iron sights and red dot. 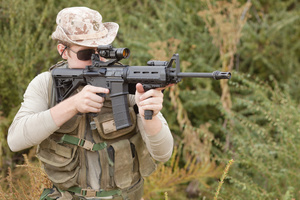 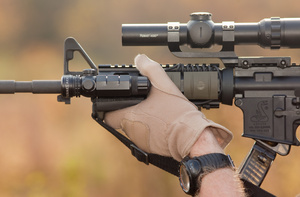 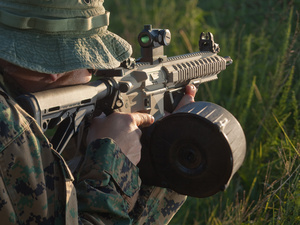 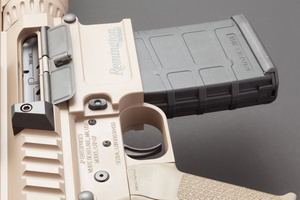 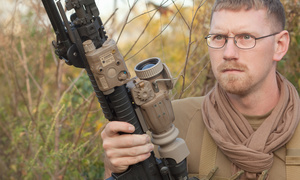 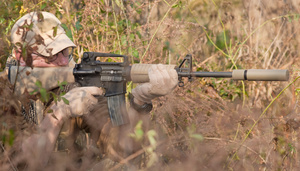 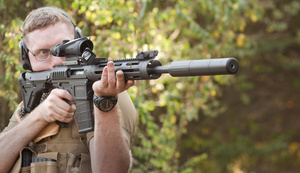 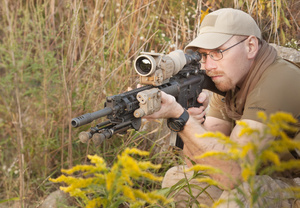 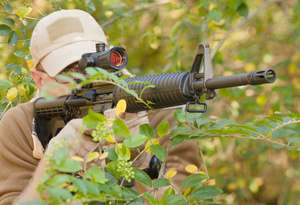 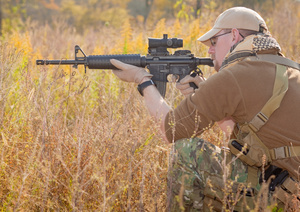 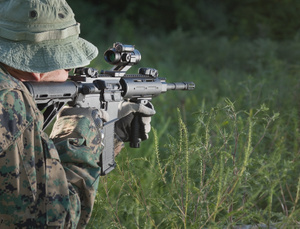 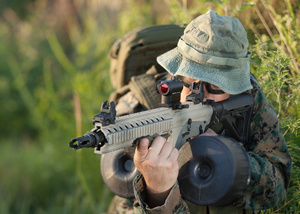 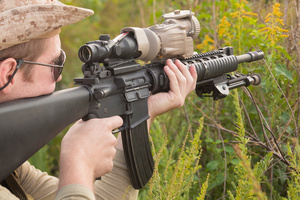 Thermal sight and IR laser/illuminator on a designate marksman's AR15. 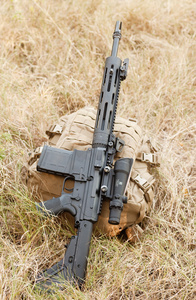 Crusader Weaponry "Partisan" carbine. 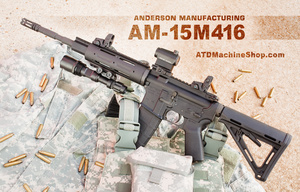 AAC flash hider and VFG added. 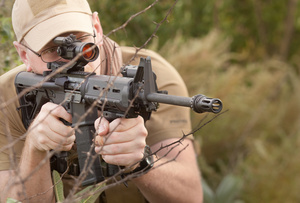 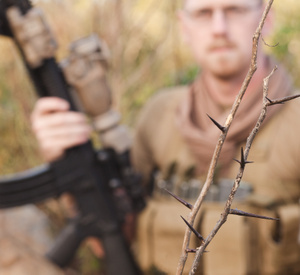 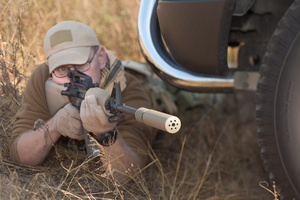 Red dot by Primary Arms. 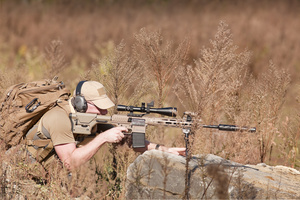 Un-supported firing position. 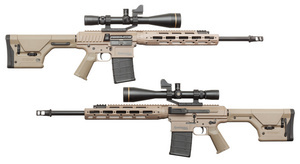 17HMR rifle from Alexander Arms. 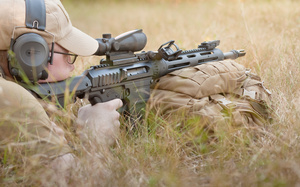 Supported firing position. 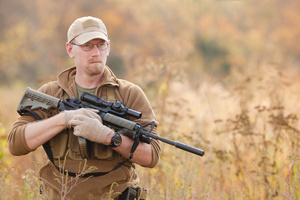 17HMR rifle from Alexander Arms. 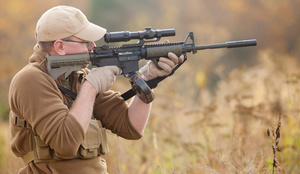 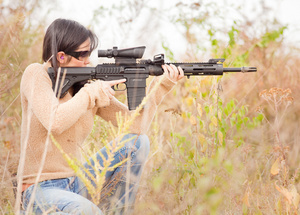 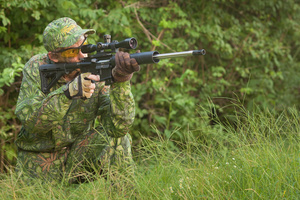 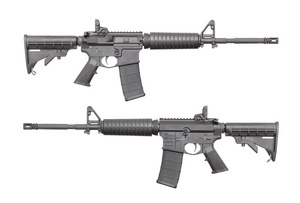 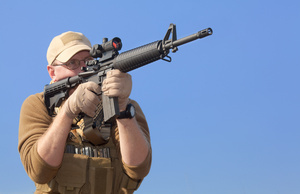 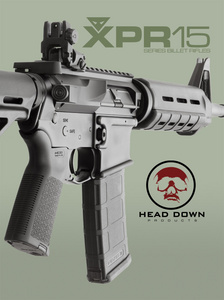 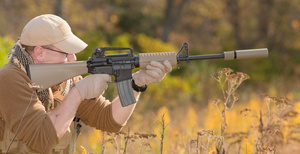 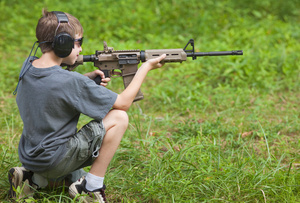 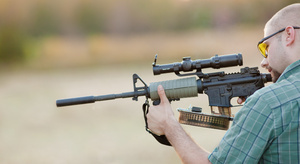 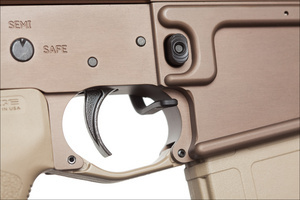 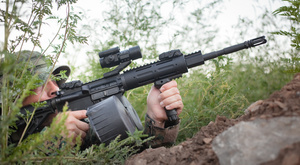 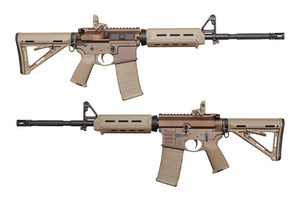 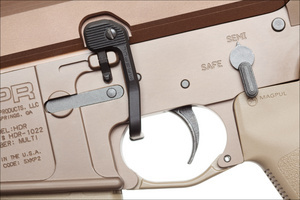 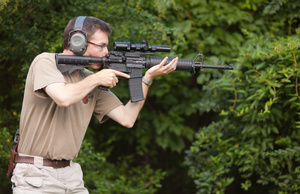 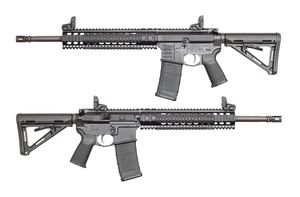 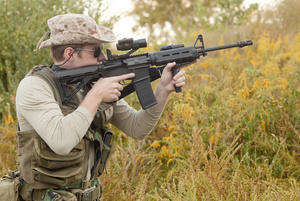 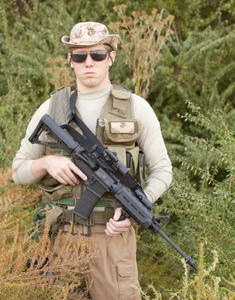 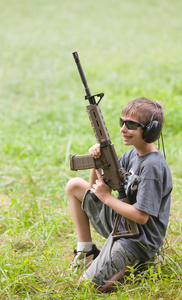 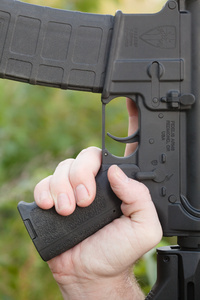 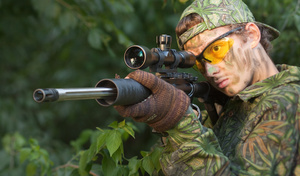 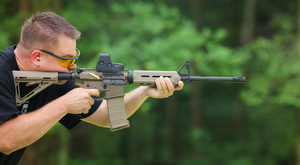 Light weight and low recoil make AR15 type rifles excellent for young marksmen.